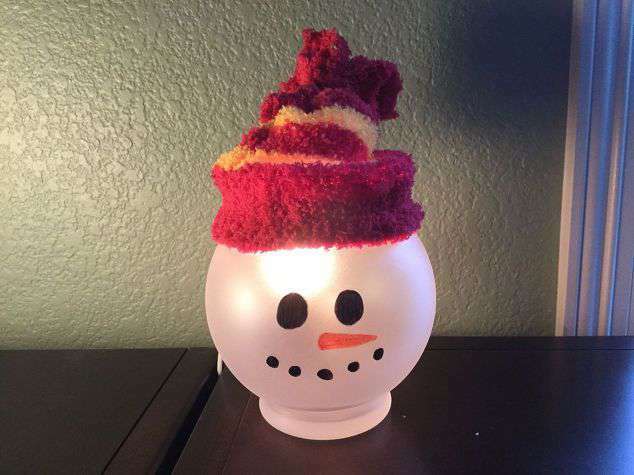 Create an inexpensive easy snowman! 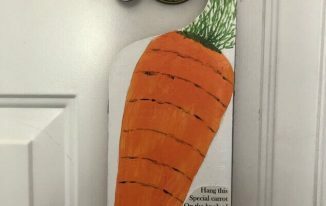 It’s a decoration you can leave up through March, and even kids can make this one. 1. Wash and clean the bud vase, removed any stickers. 2. 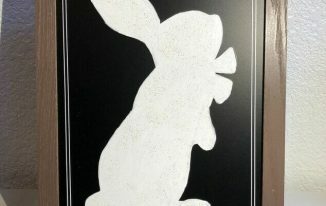 After it’s dry, spray with Rust-Oleum frosted glass spray paint to the desired look. 3. When the paint is dry, draw on a sharpie face. 4. Put your lightbulb inside the bud vase. 5. Put the glove or mitten on top (it’ll hold the lightbulb in place), and add a rubber band or ribbon on top to make a ball. My kids are using these as night lights in their rooms. We leave ours up until spring. That is darling! 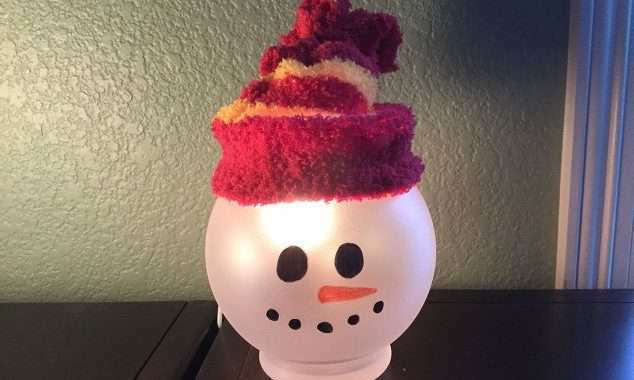 My boys would love this fun winter themed night light. Pinned. Thanks for sharing with us at the Virtual Refrigerator. I’m so glad you like it. My kids had the best time making theirs and look forward to putting them up in their room every year 🙂 Thank you for the Pin as well. I pretty sure we have one of these old globes sitting in the garage. 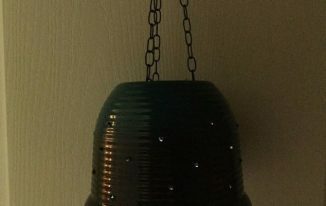 Going out to find it and do this simple but great looking craft. Found you on Traffic Jam Weekend link party. This is so cute!! Thanks for sharing it! That’s such a sweet idea. So simple but so effective. What a fabulous idea! I love your snowman’s hat! Thanks for sharing at Party in Your PJs link party!